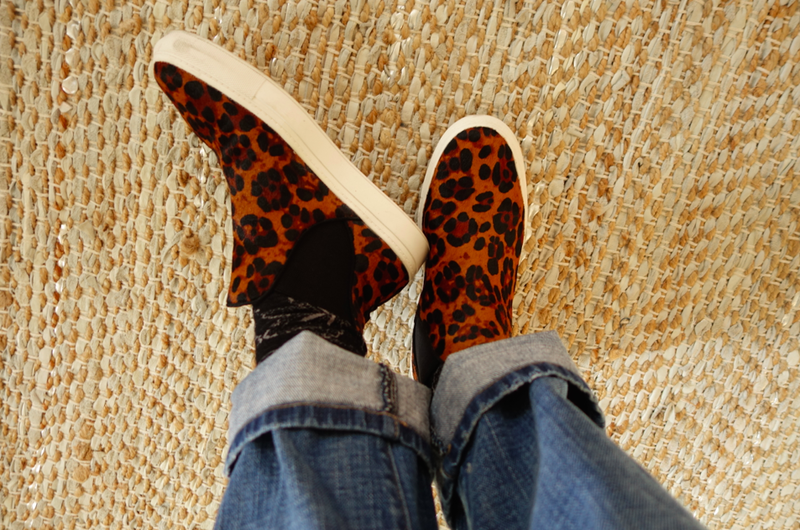 I am a huge fan of slip-on comfortable shoes that are hip and easy to walk in. 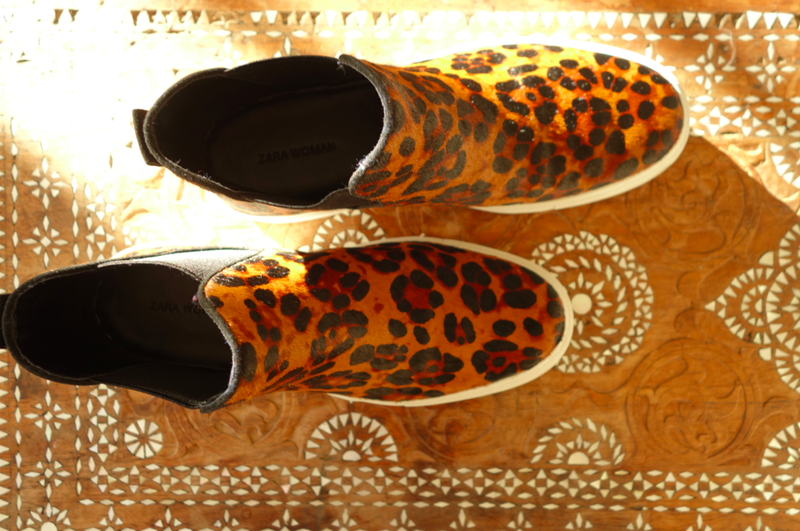 And these Zara Leopard shoes check off the boxes. These flat leather ankle boots are made out of natural cowhide with elastic side panels and white rubber soles. 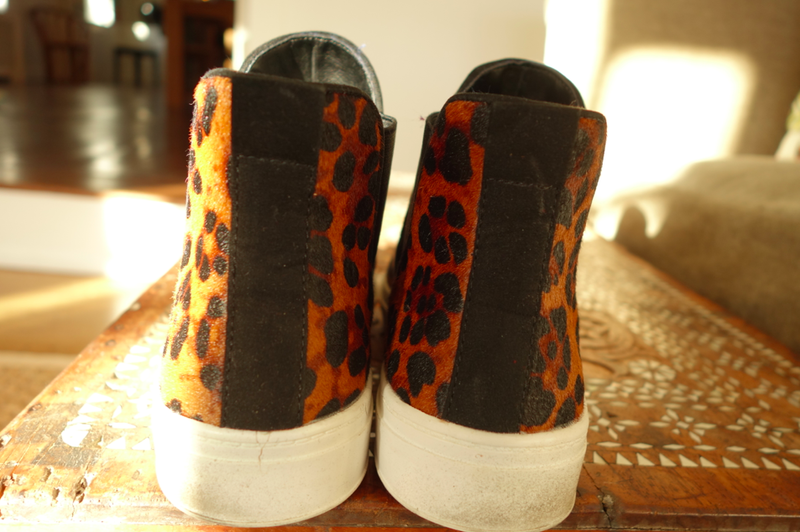 They are quick to slip on, flat to run a marathon with, and a la mode en ce moment. 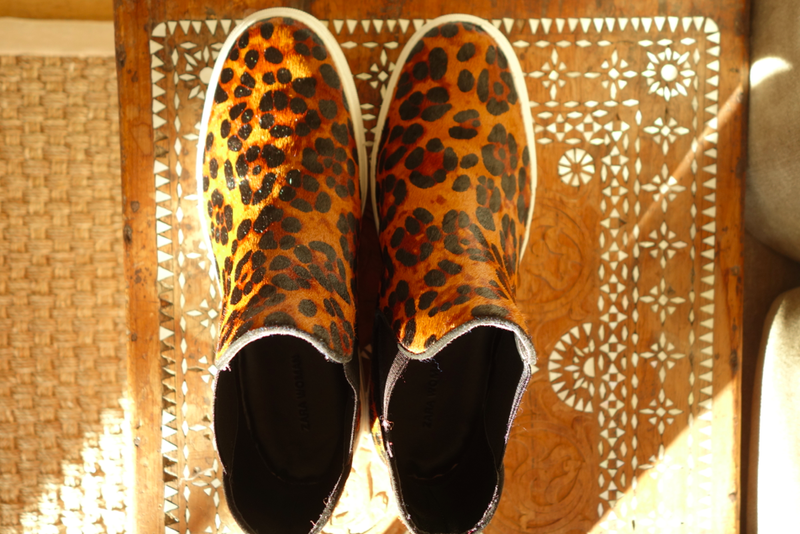 I imagine that my Parisian Girl Crushes are wearing them now, too. 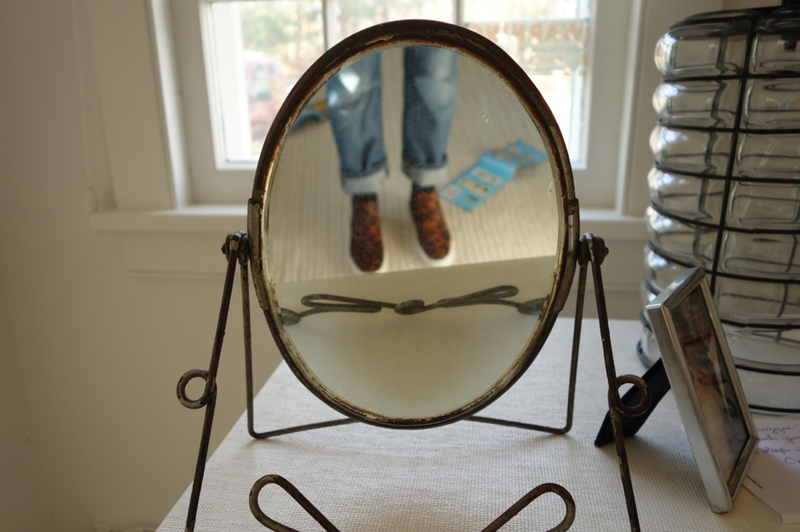 My kind of selfie….my head chopped off. So there you have it. 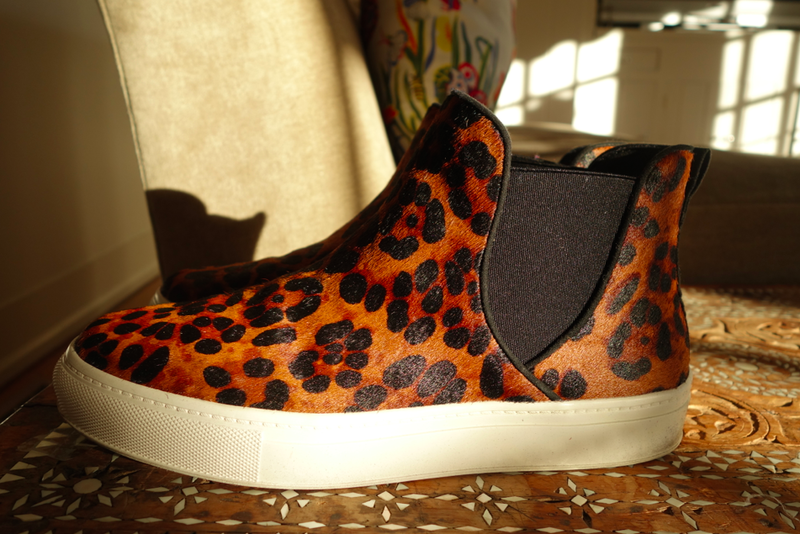 My new favorite shoe is from Zara, is leopard, and is a sneaker…you know it! Have a great Thanksgiving, everyone. Good luck to those traveling and have a wonderful holiday! (We are staying put in the city and celebrating potluck style). So super duper cute. Love them. I better buy them before they sell out — thanks for the heads up, and Happy TG. How is sizing? Do they run true to size? Big? Small? 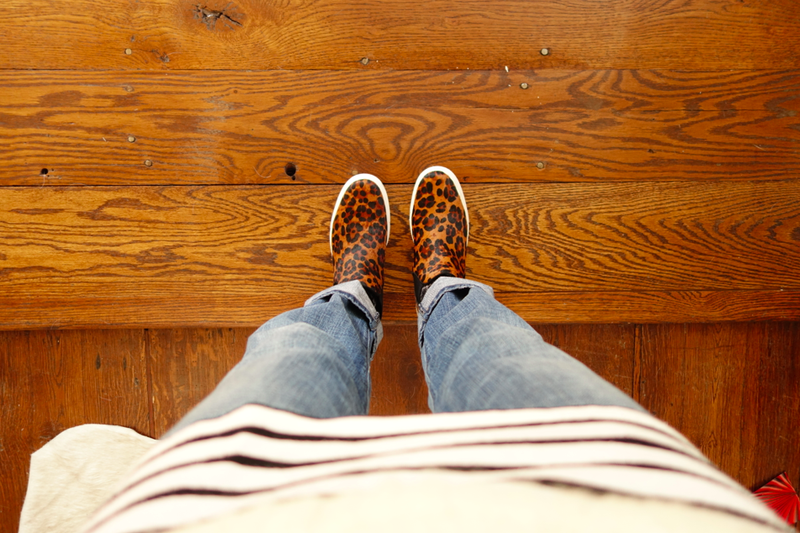 Love them — do you know if they come in different colors? 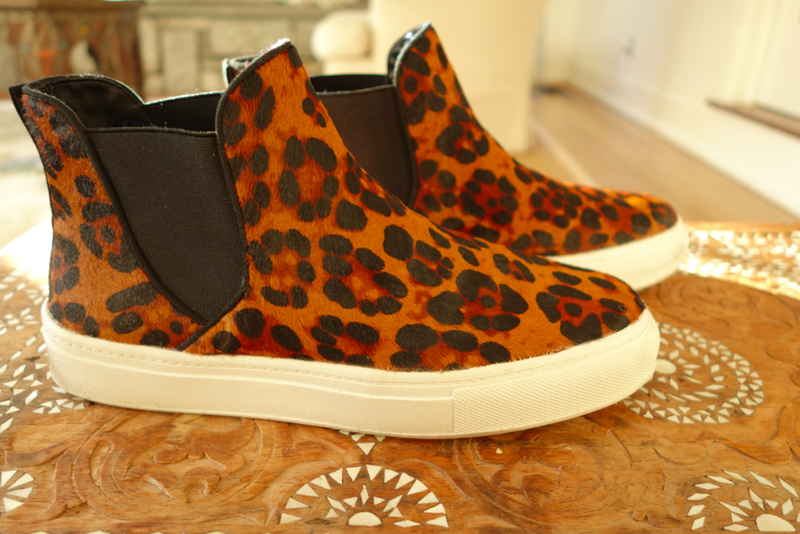 Not that I don’t love your leopard version (I do) but feeling like I would get more use out of a solid color…. I think they have other colors? Sorry to not know more! Happy Thanksgiving! 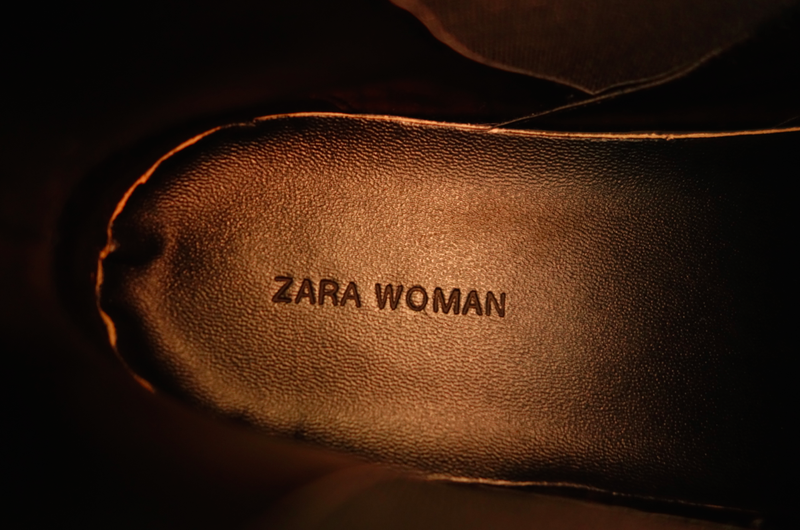 Zara is the best — and have you ever bought their kids’ clothes? 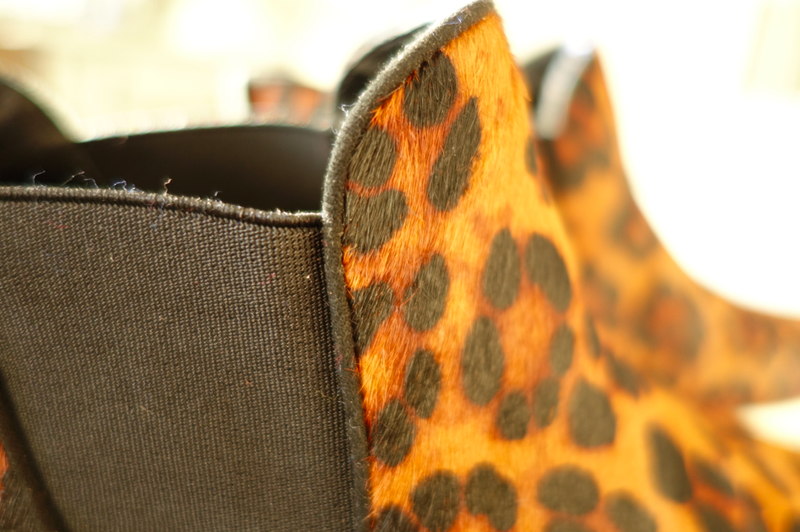 A must for a fashionable and affordable closet! 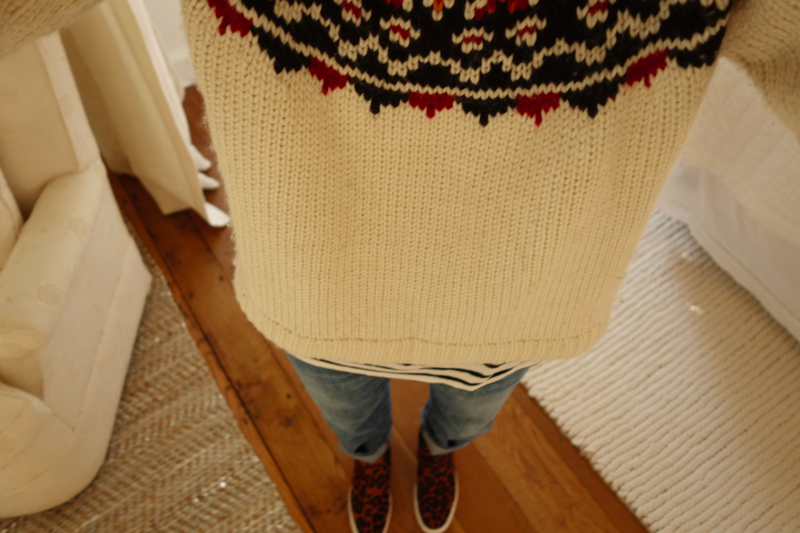 I love their kids’ clothes! I buy from them all the time for the kids!